I wrote about our awesome visit to Busch Gardens in June, and when I saw this deal I had to share because it's pretty darn good. If you go for a day TODAY all your future visits through 2015 will be free. We've done the annual passes before and they were well worth it, even if you just stop in when you have a few hours to kill a couple times a year it's worth it. 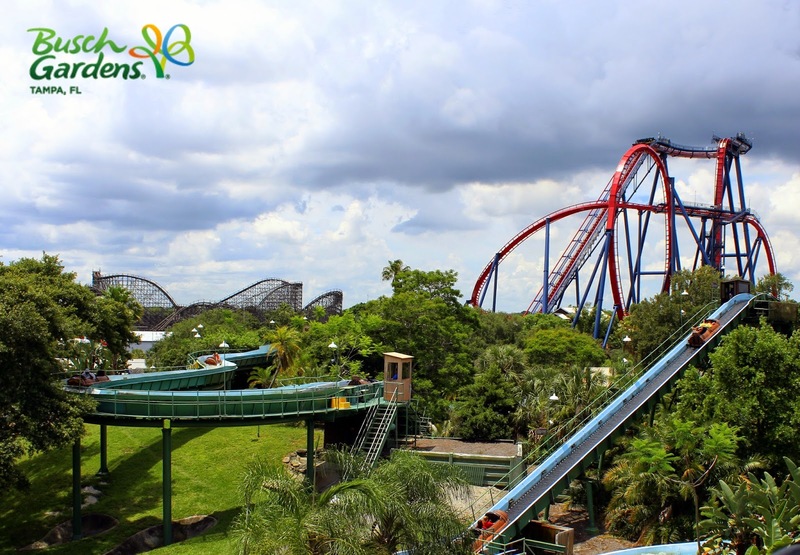 "From world-class rollercoasters and Broadway-style entertainment to one-of-a-kind, up-close animal encounters, Busch Gardens® Tampa continues to deliver some of the biggest thrills found anywhere! In 2015, Busch Gardens is taking those thrills and experiences to new levels with brand new events and exciting entertainment. You can see it all with a 2015 Fun Card, which lets you Pay for a Day, and get now through 2015 FREE! It’s the best value for again-and-again access to all of the amazing thrills Busch Gardens has to offer. Plus, if you buy your 2015 Fun Card now, you can enjoy visiting Busch Gardens for the remainder of 2014 for no additional cost, including Christmas Town™!" For the record, I don't get anything out of you signing up for this deal, except that I might see you there, which would be very awesome!